I don’t typically make melt and pour soaps as I’ve always had a huge crush on making homemade cold process soaps from the very beginning. I also tend to lack the patience to allow my melt and pour soaps to set up properly before trying to embed or layer them, which of course, ends up in a complete and utter mess. However, I know many of you aren’t ready to jump into making soaps with lye – it took me a while to get over the fear of using lye too! – and love the instantaneous gratification of homemade melt and pour soaps. After all, you don’t have to wait three weeks or more before you can use them. 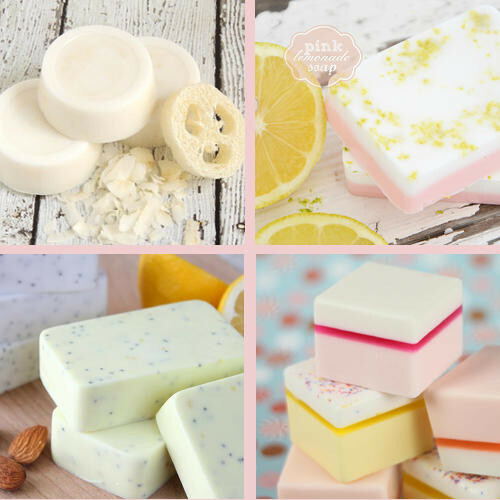 So I thought I’d share a few of my favorite handmade melt and pour soap recipes from around the web including this one from Poppytalk for making DIY Melt and Pour Macaron Soaps! Not only do these homemade soaps look like the real deal, but you can make them in an afternoon and they’re ready for gifting the same day. I think these sweet looking soaps would be fabulous tucked inside an Easter basket along side a few pretty dyed Easter eggs and other delectable treats. 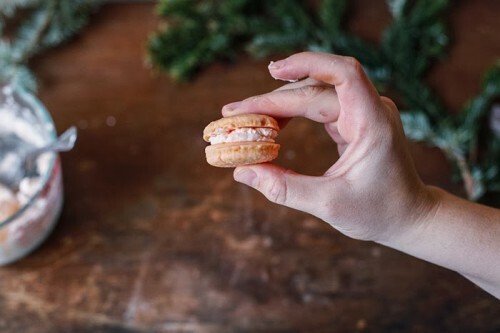 This handmade macaron soap tutorial actually instructs you on how to make your own macaron soap mold from an actual macaron and mold compound . However, you can also find silicone macaron molds pre-made on both Amazon and Etsy. 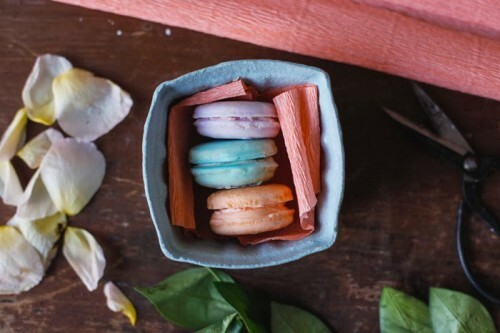 And while the authors of this soapmaking tutorial chose to scent their homemade macaron soaps with a grapefruit fragrance oil, Wholesale Supplies Plus actually has a great Pistachio Macaron Fragrance Oil you could use that’s a blend of sugared pistachio, amaretto and warm, buttery cookies. For the tutorial and step-by-step photos on how to make handmade melt and pour macaron soaps simply visit the DIY on Poppytalk blog here. Now that I’ve wet your whistle with possibilities, here are a few other melt and pour soap recipes to try your hand at. For more homemade soap recipes be sure to follow my DIY Bath & Body Board on Pinterest. Also be sure to check out my DIY Homemade Easter Crafts and Treats Pinterest Board for more great gift ideas to tuck into an Easter basket. These are sooo cute ! it would be an awesome addition ! wish I could make these !